Talk about April showers. 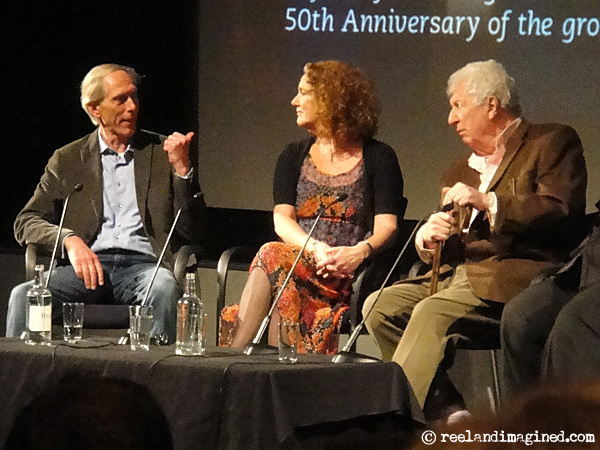 I needed a cold one when I found out that Tom Baker and Philip Hinchcliffe were going to be sharing the stage at the NFT1 for this, the fourth of the BFI’s ‘Doctor Who at 50’ events, on Saturday 20 April. 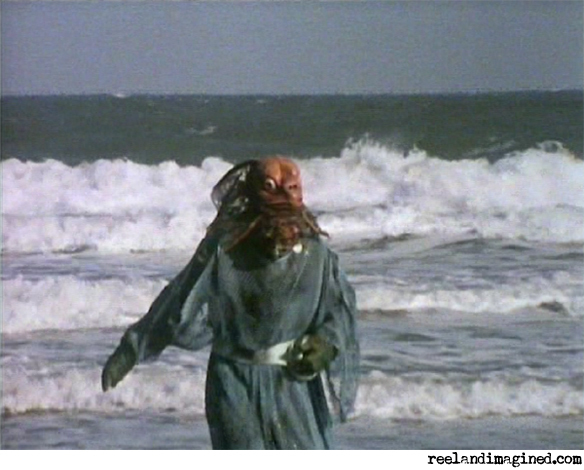 The story chosen to represent Baker’s Doctor was the 1977 whodunnit The Robots Of Death, the penultimate production of the Hinchcliffe era – that peerless two-year period between The Ark In Space and The Talons Of Weng Chiang, when both the show and its lead actor were at the peak of their powers, scaring the bejesus out of kids like me every Saturday evening with tales of Zygons, Wirrn, Krynoids and Kraals. It’s 27 April. Saturday evening. Dusk. Normally at this time I’d be at home in front of the telly watching Doctor Who. But tonight I have other plans – plans that I can’t record to my V+ box and watch tomorrow. It’s hard to believe, I know, but sometimes real life is worth venturing out for. 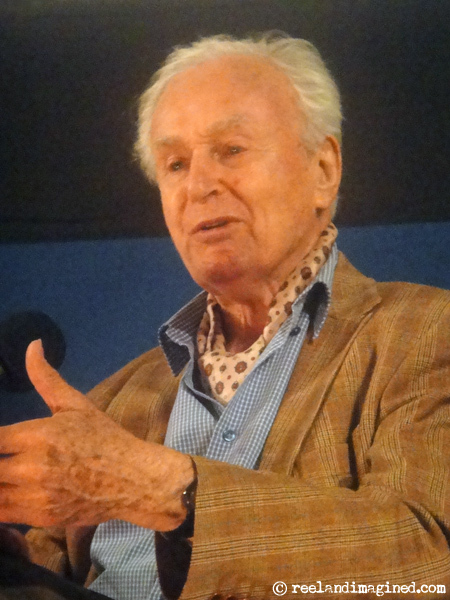 So I’ve straddled the train and ridden the Tube to Kennington, south London, for An Evening With William Russell (all caps, you’ll note, for the phrase is a title as well as a descriptor). 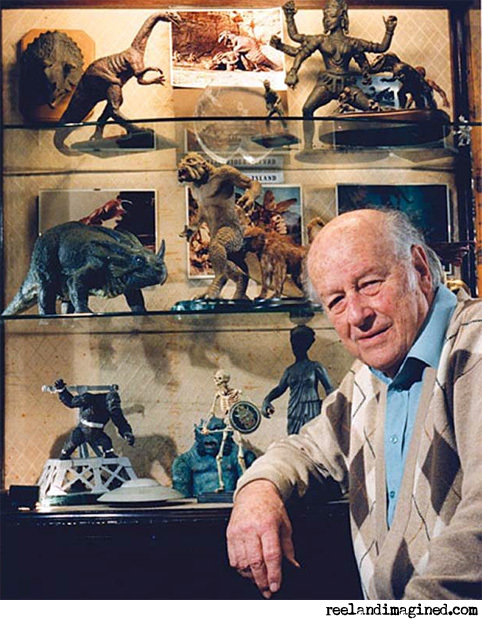 The much-loved actor is at the Cinema Museum to be interviewed, by Mark Egerton, in front of around 100 fans and admirers about his 60-year career in stage and screen. 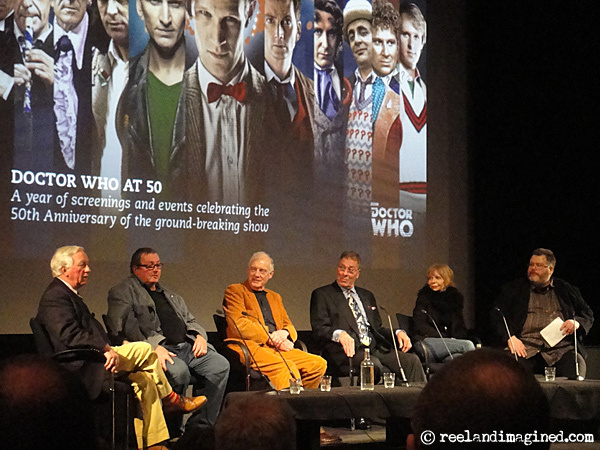 Though he’s most famous for his part in Doctor Who between 1963 and 1965 – when he was Ian Chesterton, one of the original three companions to the original Doctor, played by William Hartnell – Russell’s CV is both broad and long, and includes roles in many other highly successful works, including The Great Escape, Superman, The Black Adder and Coronation Street. 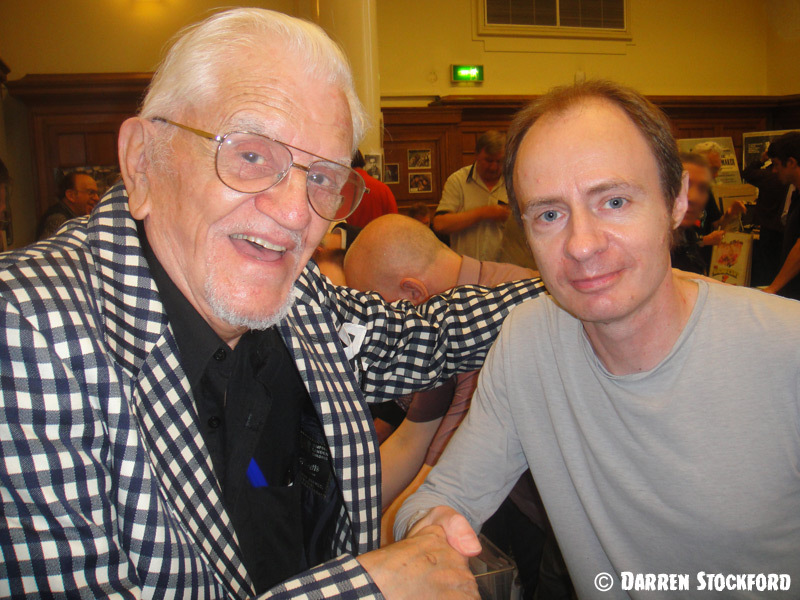 On 10 March, I attended a BFI screening of the 1971 Doctor Who story The Mind Of Evil, in which the Doctor pits his wits against his arch-enemy the Master and his mind-sapping Keller Machine. 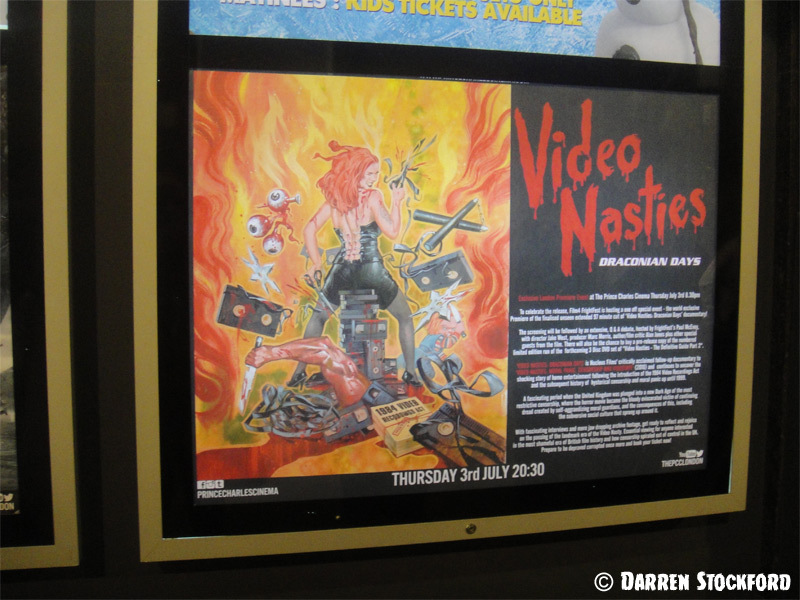 This screening was the first time that this story had been seen entirely in colour, in public, since its original broadcast. For the unaware, the BBC junked the original tapes in 1973 (it’s a long story), and in recent decades fans have been watching The Mind Of Evil on tapes sourced from black-and-white 16mm film copies, alongside a few colour clips that survived thanks to a domestic recording someone had made in the US. But now, thanks to the efforts of the Doctor Who Restoration Team, the entire six-part serial exists in colour once again. The announcement of Project MotorMouth last September was bittersweet. 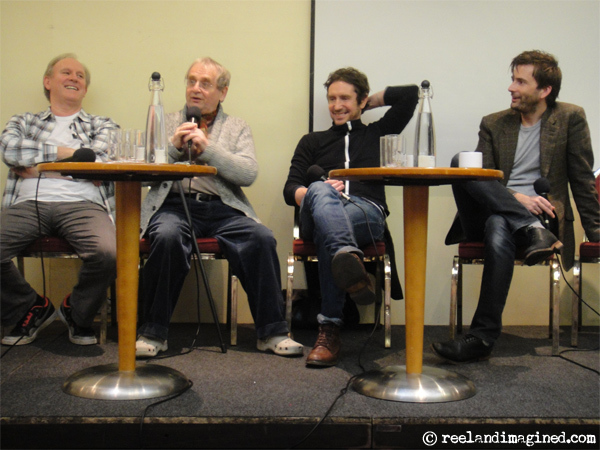 A Doctor Who convention featuring Doctors 5, 6, 7, 8 and 10 – that’s Davison, Baker (C, not T), McCoy, McGann and Tennant – was an appealing prospect, but the reason for the get-together was linked to some far less pleasant news. “Janet Fielding has a new fight on her hands,” said the event website, “not against the Daleks or Cybermen but against cancer”. 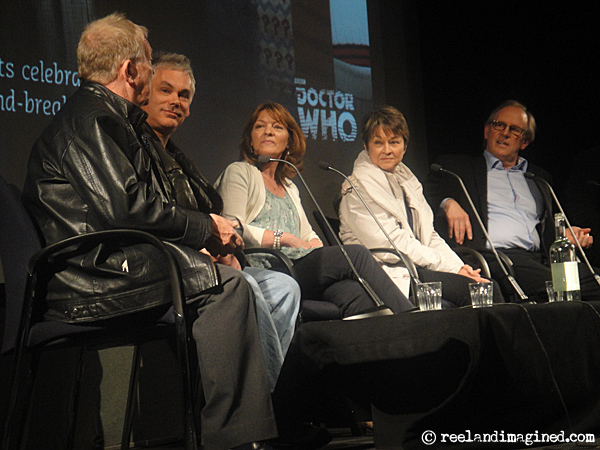 The idea for the event, scheduled for 19 January 2013, was dreamt up by Janet’s Doctor Who co-star and friend Peter Davison, who “swung into action and enlisted the help of his fellow Doctors” to try to “raise money for a good cause but also keep Janet’s spirits up”.